Welcome to A.T. Still University of Health Sciences! Since joining the ATSU family more than 30 years ago, I am proud to have witnessed my alma mater transform from the founding school of osteopathic medicine, established in 1892, to a leading health sciences university that today spans two campuses and online. This growth is a testament to the University’s commitment not only to our osteopathic heritage, but also to educating our students to become tomorrow’s healthcare leaders. Supporting ATSU’s legacy is an inclusive campus community that is student-centered and service-focused. Our dedicated faculty and staff, along with supportive alumni, ensure students are actively engaged in their studies and have the resources, knowledge, and experience necessary to succeed. Innovative programs and state-of-the-art technology optimize learning and keep our students current with trends in healthcare. Furthermore, the University fosters an environment that values differences, encourages collaboration, and promotes a well-rounded and healthy lifestyle. Please explore our website to learn more about ATSU and how we are preparing our students to become the next generation of healthcare leaders and professionals. Norine Eitel, MBA, serves as assistant to the president, secretary to the board, and University liaison to the Higher Learning Commission. Employed with the University since 1984, Eitel worked in human resources and sponsored programs prior to her appointment to the president’s staff. In 2009, she was awarded KOAA honorary membership. Eitel received a certificate and two undergraduate degrees from Truman State University and her master’s degree from William Woods University. Currently, Eitel is serving her fourth term on the La Plata R-II School Board. Gary Cloud, PhD, is vice president for strategic partnerships and diversity at A.T. Still University. Dr. Cloud earned his doctorate in philosophy with an emphasis on ethics and health policy as well as his bachelor’s in business administration with an emphasis on personnel and health administration from Arizona State University. He completed his master of business administration with an emphasis on health administration from University of Phoenix. Dr. Cloud oversaw construction of the Mesa, Ariz., campus and the surrounding Health and Technology Park that houses the ATSU-Arizona School of Dentistry & Oral Health community clinic and one of the Valley’s newest YMCAs. He also helped initiate efforts to design and establish ATSU’s Arizona-based dental and medical schools and the National Center for American Indian Health Professions. Having written on several topics, including federally qualified health center tort and community health center finance, Dr. Cloud has presented on graduate health professions opportunities for children from underserved communities, key theories for the community health center movement, population-based health promotion, and innovative learning models at ATSU. Dr. Cloud has served on Health Resources and Services Administration grant review teams, the board of the Western Clinician’s Network, and advisory councils for the Bureau of Primary Health Care and the National Association of Community Health Centers’ National Health Service Corps. Currently, he serves on the National Association of Community Health Centers’ Educational Health Center Task Force and the board for Adelante Healthcare. ​Norman Gevitz, PhD, is A.T. Still University’s senior vice president of academic affairs. Dr. Gevitz earned a BA and an MA in political science from New York University and a PhD in sociology from the University of Chicago. Prior to joining ATSU, he was professor of history and sociology of medicine, Department of Family Medicine, at New York Institute of Technology, New York College of Osteopathic Medicine, where he also served as director of the Academic Medicine Scholars program and associate director of the Health Policy Fellowship certificate program. Dr. Gevitz served as co-director of the undergraduate Rehabilitation Counseling program at the Illinois Institute of Technology and as director of the Medical Humanities program within the Department of Medical Education at the University of Illinois at Chicago College of Medicine. He served for 12 years as chair of the Department of Social Medicine at the Ohio University College of Osteopathic Medicine. Dr. Gevitz is the author of the book “The DOs: Osteopathic Medicine in America,” published by John Hopkins University Press. He is the editor of two other books. Dr. Gevitz has obtained grants from the National Institutes of Health (Library of Medicine), the National Endowment for the Humanities, and the U.S. Department of Education. He has received seven honorary doctorates and public service awards for his activities related to the osteopathic medical profession. Lori Haxton, MA, is ATSU’s vice president for student affairs overseeing Admissions, Enrollment Services, Learning & Disability Resources, Behavioral Health Wellness Counseling, Wellness Programs, the National Center for American Indian Health Professions, Student On-campus Housing, and Student Life. Employed with the University since 1988, her focus in higher education includes residential life, admissions, alumni services, and student affairs. Haxton holds a faculty appointment with the ATSU-KCOM Family Medicine department. She is active with numerous University committees and professional organizations and is a faculty adviser for student governance and multiple student organizations. Haxton was honored with a Distinguished Service Award from ATSU and the Kirksville Osteopathic Alumni Association (KOAA) and was awarded a KOAA honorary membership. She is also the recipient of the MAOPS Medallion Service Award. Haxton received her undergraduate degree from the University of Wisconsin-LaCrosse and her master’s degree from Truman State University. John T. Heard Jr., PhD, has served as ATSU vice president for research, grants, and information systems since 1999. Prior to his current position, Dr. Heard served more than 20 years at ATSU-KCOM in many capacities involving research, grants, and information systems. He is a reviewer for federal grant programs and is also a member of several boards, councils, and professional organizations. Dr. Heard oversees the management of approximately 90 grant programs annually. In addition, his staff establishes and supports administrative uses for information systems. As a leader for the expansion of the clinical research at ATSU, Dr. Heard was instrumental in the establishment of the A.T. Still Research Institute (known as the Still Research Institute or SRI). SRI oversees the ongoing research development and enrichment of the research culture at the University. Dr. Heard earned his bachelor’s degree from Lamar College of Technology in Beaumont, Texas; his master’s degree from Sam Houston State College in Huntsville, Texas; and his PhD from the University of Texas, Graduate School of Biomedical Sciences, in Houston, Texas. He also received his STB from Pontificia Universita Gregoriana and JCB from Pontificia Universita Lateranensis, both in Rome, Italy. Matthew R. Heeren, JD, graduated with a degree in communication science from Truman State University and a juris doctorate from the University of Missouri-Kansas City. Prior to joining A.T. Still University, Mr. Heeren served as general counsel of the Missouri Department of Labor and Industrial Relations and deputy general counsel to the governor of the state of Missouri. Mr. Heeren serves on the board of directors for Chariton Valley Association, a non-profit organization assisting citizens of northeast Missouri with developmental disabilities. He serves on the board of directors for the Adair County Public Library and Kirksville Chamber of Commerce. He is a member of the Rotary Club of Kirksville and coaches YMCA youth soccer. Richard Rieder, MBA, MM, brings 28 years of executive-level finance experience in private higher education to ATSU. Prior to his position with the Kansas City Art Institute, he served as vice president for finance at several institutions of higher learning, including Millikin University (Decatur, Illinois), Malone University (Canton, Ohio), and Greenville College (Greenville, Illinois). His primary responsibilities included oversight of finance, human resources, facilities, risk management, investments, and auxiliary services. Mr. Rieder’s professional affiliations include the National Association of College and University Business Officers, College and University Personnel Association, financial review board and consultant/evaluator for the Higher Learning Commission, and Association of Business Administrators of Christian Colleges. Mr. Rieder earned a bachelor of arts degrees in business and music from Baker University (Baldwin City, Kansas), a master of music from Oklahoma City University (Oklahoma City, Oklahoma), and a master of business administration from Regent University (Virginia Beach, Virginia). Shaun Sommerer, PhD, is vice president of university advancement for ATSU. In this role, he leads the offices of development, donor relations, alumni relations, and the Museum of Osteopathic Medicine. Prior to joining ATSU in December 2014, Dr. Sommerer had been with the University of Arizona Foundation where he served as the vice president for Arizona Health Sciences overseeing all fundraising operations for the colleges of medicine, nursing, pharmacy and public health together with seven associated centers of excellence. From 2005 to 2009, Dr. Sommerer served as the associate vice president of development at University of Nevada - Las Vegas (UNLV) where he was responsible for managing all fundraising for both the professional schools and academic colleges of the university. Prior to UNLV, he served as a major gift officer for the University of Michigan and Saint John’s University (MN). From 1991 to 1998, Dr. Sommerer was an educator serving as an assistant professor of chemistry at Penn State - Erie and then as associate professor of chemistry at Barry University in Miami, FL where he also served in multiple departmental administrative positions. Dr. Sommerer has a bachelor’s and master’s degree in chemistry from Saint John’s University (MN) and South Dakota State University respectively. He obtained his PhD in inorganic chemistry from the University of Florida. Dr. Sommerer has published over 30 research papers in peer reviewed journals together with two book chapters. He was awarded two Cottrell Foundation research grants and has presented invited lectures at both national and international meetings. 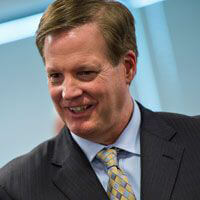 Ted Wendel, PhD, is the senior vice president for university planning and strategic initiatives at A.T. Still University and is responsible for exploring and developing major projects that will impact the future of the University. Dr. Wendel earned his bachelor’s degree in biology from St. Andrews College in North Carolina and his master’s and doctoral degrees in pharmacology from Wake Forest University. For five years, Dr. Wendel was on faculty at Wake Forest University Bowman Gray School of Medicine and published several papers in the area of neuropharmacology. During this time, he worked as a physician assistant (PA) faculty member to begin the second PA program in the United States and published the first comprehensive curriculum for the education of PAs. Dr. Wendel joined the Kirksville College of Osteopathic Medicine (KCOM) in 1979 before moving to the College of Osteopathic Medicine of the Pacific (COMP) in 1986. While at COMP, he served as an associate professor of pharmacology and an assistant dean of medical education. In 1991, he was promoted to dean of the School of Health Professions at Western University (formerly COMP) and then served as vice president for planning and assessment. In 1998, Dr. Wendel joined ATSU’s Mesa, Ariz., campus (formerly Southwest Center for Osteopathic Medical Education and Allied Health Sciences) as associate provost and dean of the faculty. Additionally, he held the position of vice president for operations on the Arizona campus prior to his current role.